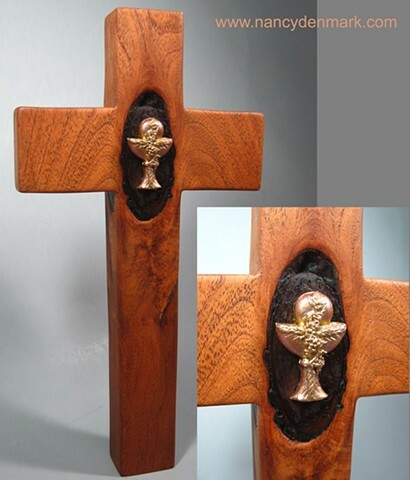 freestanding mesquite cross made by Margaret Bailey, polymer clay butterfly by Nancy Denmark. This design is a chalice with the rising host, marked with a cross formed by the wheat and grapes. That by thy grace our souls are fed.